Laogai will be the third volume of The Shanghai Quartet and its star will be Song Kang. We first see Kang in The Dancing Girl and the Turtle as the returned student, the prodigal son, called back from America to care for his ailing sister Anyi. Eighteen years later, we meet him again. He’s in a labor camp for crimes he doesn’t regret. In the precious moments left to him between hard labor and brutal treatment, Kang writes a letter to his beloved daughter Li, asking for her forgiveness. The lives of millions were swallowed up by a vast array of prison camps scattered across the length and breadth of the country. This network is sometimes referred to as the laogai, an abbreviation for laodong gaizuo, or ‘reform through labour’. Its origins date back to the early days of the communist party, when prisoners were put to work to help meet the cost of their incarceration. It was called ‘re-education through labour’ or laojiao. In contrast to ‘reform through labour’, or laogai, it dispensed with judicial procedures altogether. a vast prison machine that crushes all vestiges of humanity—not only flesh and blood but spirit and ideals as well. Sadly, Wu died in 2016. The museum closed soon thereafter and with it, a rich stock of archival material. I hope the archives will reopen someday. In the meantime, there is no dearth of reading material on Chinese prison camps. Liao Yiwu has written extensively on the Chinese justice system. His extraordinary memoir, For a Song and a Hundred Songs, is an account of his 4 year journey through the Chinese prison system. His crime: writing a poem about Tiananmen Square. When a government does all it can to crush the soul, poetry seems the only proper medium to respond. Here is a poem by Tammy Ho Lai-Ming entitled Official Causes of Death in a Chinese Prison, reprinted by permission of the poet. There are many kinds of prison camp stories. In essence, a Soviet gulag, a Japanese POW camp, a Nazi concentration camp or a Chinese laogai share a single purpose. To destroy the human soul. Having drawn my inspiration from all those sources, I now have to choose. Do I focus on a few characters like the pair of brothers in Martin Amis’s The House of Meetings? 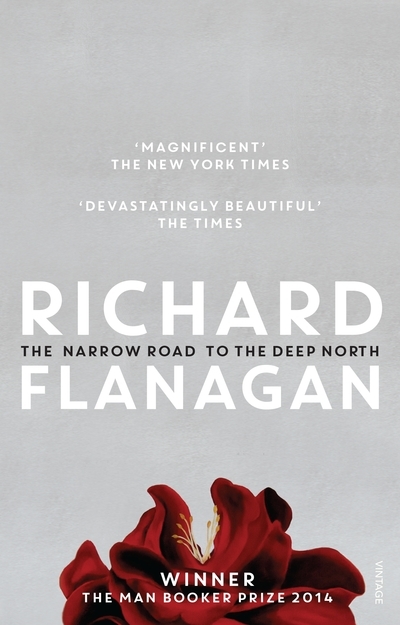 Or paint a wider canvas as Richard Flanagan so brilliantly executed with The Narrow Road to the Deep North? My instinct is to create a portrait of all the men in my Laogai. Not just Kang but his fellow prisoners, the prison guards and the camp commandant, too. I have a crazy idea, one I’m not sure I can pull off. I’m thinking about writing linked short stories. The idea comes from an article I recently read in LitHub about the rise of this form. A bridge toward the novel, perhaps, but one that maintains the essential structure of short form, amplifying its magic rather than explaining it. Like the author of that article, Baird Hunt, I am a big fan of the possibilities unique to short form fiction. I’ve always thought there’s more magic in short fiction than in novels. A result of the poetics borne of economical prose, I suppose, but also there’s mystery in the ambiguities on which short form often insists, in the white spaces of section breaks and in the big dark void at the end. Like a life lived hard—full of as many blackouts as transcendences—and over too soon. Somehow a linked story collection seems like the perfect form for a novel set in a laogai. The hard existence, the brutal break with life, the tragedy of what could have been. Amos Oz wrote a collection of linked stories titled Between Friends that’s set on a kibbutz where the characters walk in and out of each other’s story. Elizabeth Strout has recently come out with a sequel to My Name is Lucy Barton, also in the form of linked stories called Anything is Possible. Is it? I think I’m going to give it a try.